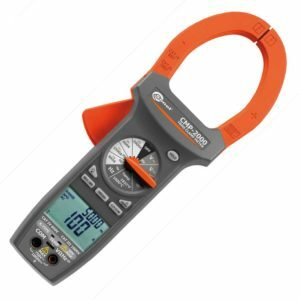 This Digital multimeter is the perfect solution for every electrician, fitters, installers and maintenance services.The CMM-11 multimeter is designed for quick diagnostics of devices and electric circuits. Thanks to an ergonomic design and pocket size, CMM-11 will find a place in every tool bag and will not take much space. 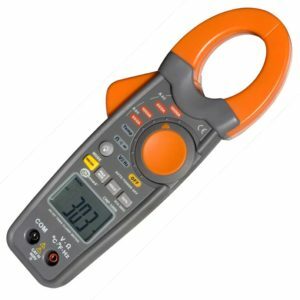 It has all basics measuring functions, you would come to expect of a modern age digital multimeter and thanks to the rubberised housing it will resist falls up to 2,5 meters from mechanical damages. display 3¾ digit (count max 4000). 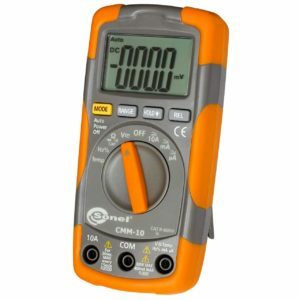 An economical Cat II 600V digital multimeter with auto & manual ranging including HOLD function to keep a measured value. As well as a REL function to give value relative to a previous measured function. 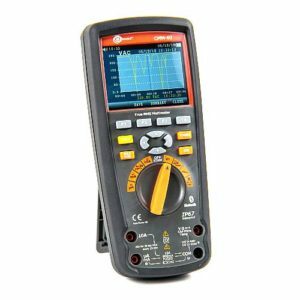 The Digital Multimeter CMM-10 has been designed for the purpose of measuring AC/DC voltage, AC/DC current, resistance, capacitance, frequency, duty cycle, temperature and also for testing diodes and continuity. REL function, allows you to make measurements relative to a stored reference value. Continuity test with acoustic signalling (beeper). Display 3 7/8 digits (5000 max). 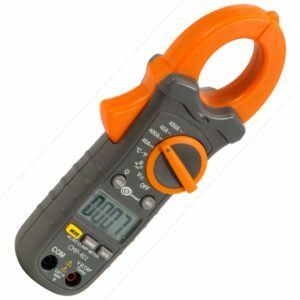 This Industrial Digital multimeter CMM-40 was designed for measurements of AC/DC voltage, AC/DC current, resistance, capacitance, frequency (electrical and electronic), duty cycle, temperature, testing diodes and continuity. 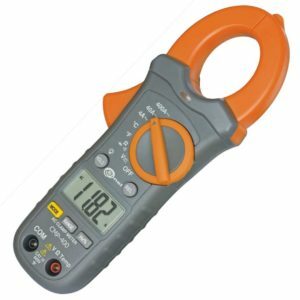 It is a Cat IV Digital multimeter rated up to 600V or Cat III up to 1000V. double moulded, IP65 waterproof casing. The CMM-60 multimeter allows you to record data thanks to the Trend Capture function showing a historical graph from built-in memory. 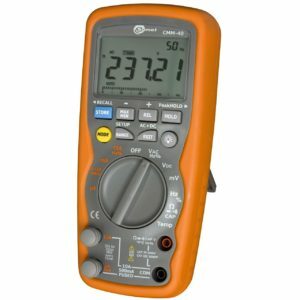 Also possible to transfer data and analysing the results in the Multimeter Software. The device facilitates the diagnostics of potential problems covering the operation of industrial automation, electromechanical devices, motors and distribution of electricity. 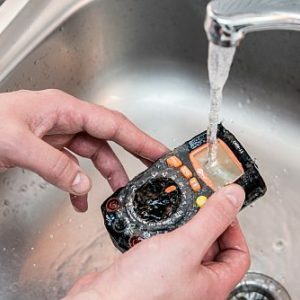 Precise indications convenience of use and early detection of irregularities in the operation of machines and devices are the main benefits of having this device in your equipment. All whilst adhering to safety requirements during work in industrial conditions. The 4~20mA function used for, among others, measurement of the control circuits of temperature, pressure, pH or flow sensors. A dedicated charger and power supply for charging the battery without removing it. "m.v." means a standard measured value. 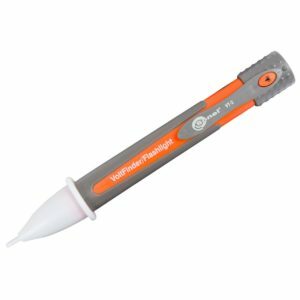 This easy to use Non-contact AC Voltage Testers, just touch the tip to a terminal strip, outlet, or supply cord and the tip glows red and the unit beeps. Making it easy to know there’s voltage present. 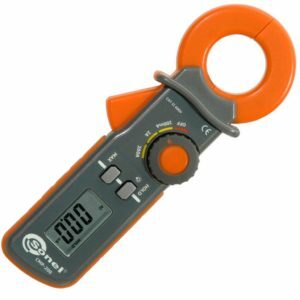 Electricians, maintenance, service, safety, personnel, and homeowners can quickly test for energised circuits in the workplace or at home.